Manchester United are preparing a mega new contract offer for Anthony Martial reportedly worth a staggering £45million over five years, including bonuses. The France winger’s Old Trafford career had looked likely to come to and end over the summer, after reports of several fall outs with Red Devils boss Jose Mourinho. However, the 22-year-old has been in fine form this season and has scored five goals in his last four Premier League matches for a rejuvenated United side. 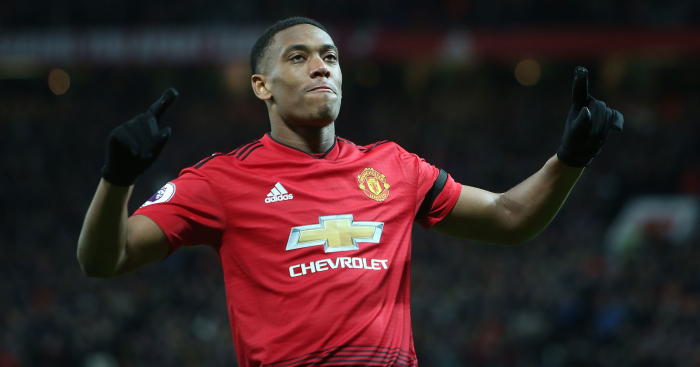 That has prompted the club to try and push through a new deal for the former Monaco youngster, with the report in The Sun claiming that Martial will be offered a five-year contract worth £190,000-a-week. The player is said to have recently turned down £160,000-a-week, despite wanting to stay in Manchester, while United could also opt to extend his contract by a further 12 months to prevent him walking away on a free next summer. However, it is understood that talks will begin this week over the multi-year deal and it will all be sealed by the time the Christmas period comes around. The post Man Utd ready to offer star long-term deal worth a whopping £45m appeared first on teamtalk.com.